The latest vehicle to land in Fortnite season 7 is the new Driftboard snowboard. Update 1:30 PM: Looks like the term "soon" might have been a bit preemptive. Epic Games has just tweeted saying that the release of the Driftboard has been delayed. Our original story follows the Twitter embed featured below. An all-new way to get around is about to land in Fortnite. 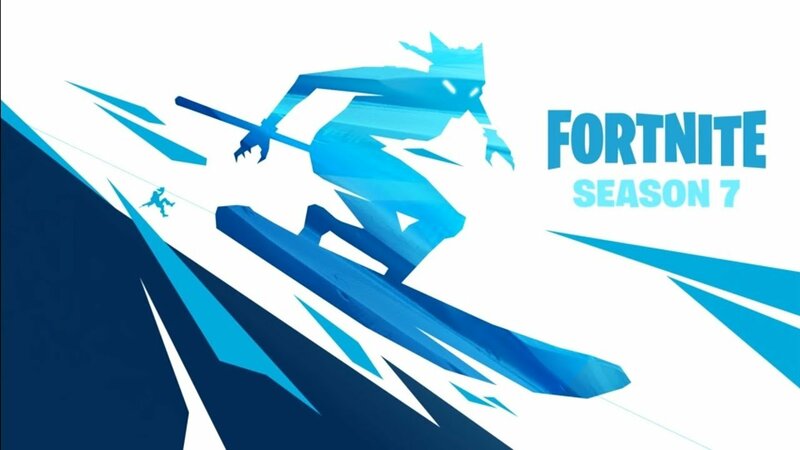 After teasing fans with new ideas and new items for season 7 earlier this month, Epic Games is finally gearing up to launch one of the final vehicles we've been expecting to see in the latest season: the Driftboard snowboard. Players loading up Fortnite who stop by the game's news page are now being treated to a series of updates that include the latest vehicle. Called the Driftboard, the item's description instructs players to "[hop] on board and boost past your competition with this new single player vehicle!" The update also mentions the Team Rumble LTM and the new Never Out of Range gear in the Fortnite Item Shop. The Driftboard appears to be a standard snowboard, though it could be said that it seems more inspired by classic hoverboard designs. It's still listed on the news page as "coming soon," so it's not immediately clear when the new vehicle will be landing in the game. With that said, it's certainly going to be part of the season 7 shenanigans, so Fortnite players shouldn't have to wait too long before they can take it for a spin. New items have been hit-or-miss in Fortnite season 7. The Infinity Blade weapon brought with it a brief moment of fanfare before general disdain set in, leading Epic Games to announce a nerf in update version 7.10, then decide instead to lock the sword away in the vault. Even though the weapon ultimately proved to be unpopular, it's at least nice to know that Epic is still conjuring up new ideas. To stay updated on the latest news and guides, be sure to stop by Shacknews' Fortnite home page.